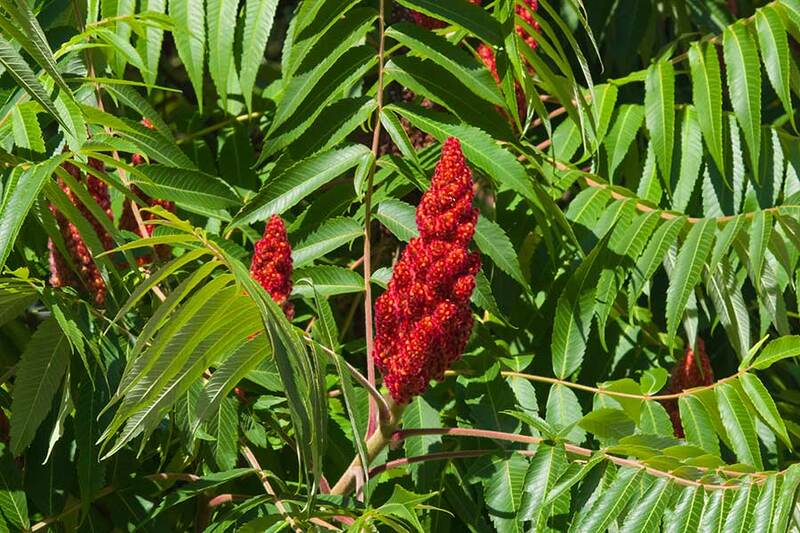 Sumac is a spice made from the dried berry of a wild bush called Rhus (Rhus Coriaria). 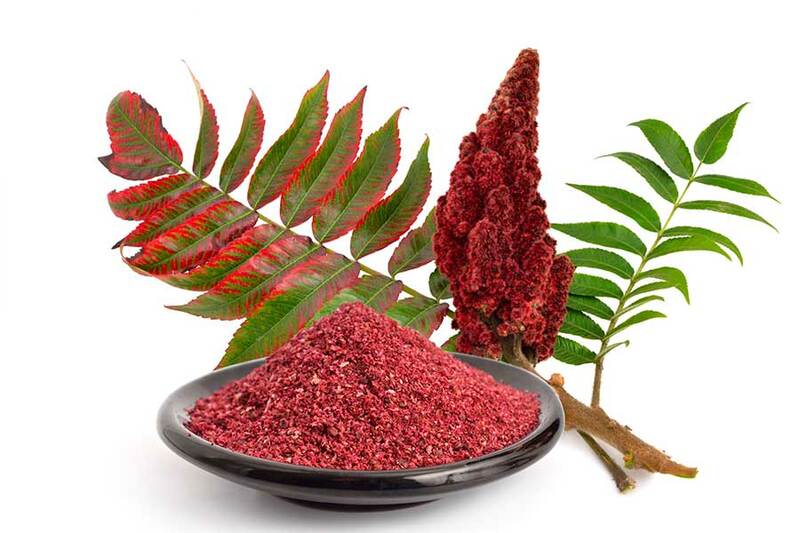 Sumac grows in subtropical and temperate regions throughout the world, especially in East Asia, Africa, and North America. Berries are dark red and maroon colour. The production of this spice is straightforward – after drying and crumbling process spice is ready. It is very popular in the Middle Eastern and Mediterranean cuisines and also present in the other regions of Asia, Africa and North America. Sumac has a characteristic sour taste and very often replaces the ingredients that are responsible in the dish or drink for giving a tart flavour (lemon, lime, vinegar, tamarind etc.). It is a natural plant product used for meat and vegetable dishes. The most popular application of the spice is seasoning kebabs, grilled meat, fish, salads, groats, hummus, goulash, yoghurt sauces, drinks and marinades. Before baking, the meat is rubbed directly with sumac or brushed with a decoction while grilling. The decoction can also be used to prepare refreshing drinks. In addition, sumac is a component of many spice mixes, eg Kofta Kebab. The spice can be added to mutton and venison. 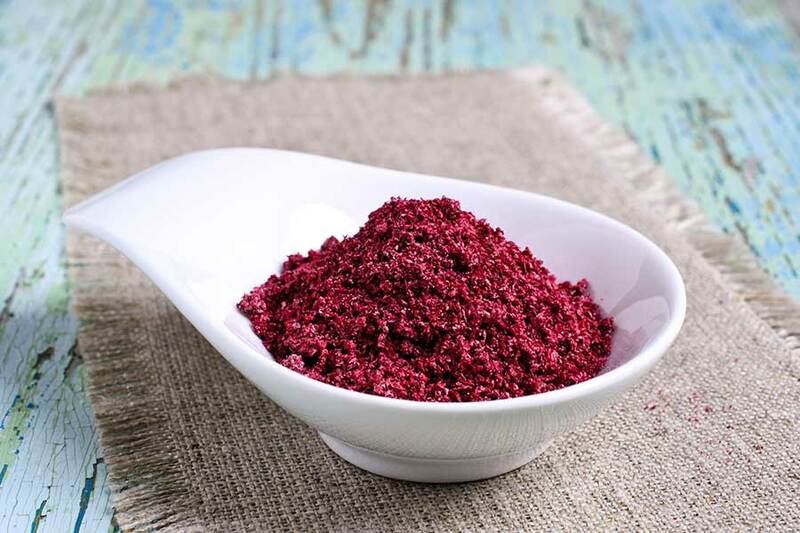 An interesting way to use sumac is also adding it to boiling rice or pasta, which thus obtain a carmine colour.